Is Justin Hartley leaving ‘The Young And The Restless?’ After the Michael Muhney scandal a few years ago, and Adam Newman’s exit, ‘Y&R‘ fans thought there was no way anyone could take on the role of Adam and play it satisfactory. Then, along came Justin Hartley. CBS soap fans were skeptical, but gradually (one hand at a time…literally), Hartley made his debut as Adam Newman and he began to grow on fans. Now, it’s hard to imagine anyone else playing the part … but that is exactly what fans might have to do. Justin Hartley is headed to primetime (again), and he has landed a lead in the new NBC primetime drama “This Is Us.” The new series is one of the most buzzed about shows premiering in the Fall 2016 – and its already expected to be a huge success. So far Justin Hartley nor CBS has addressed his status at the daytime drama and whether or not he will remain. It’s not unusual for soap stars to land small roles on primetime shows, and appear off and on for a few episodes, but a series regular in every single episode is an entirely different story. Most soap actors take daytime drama gigs in hopes of the roles launching them in to a successful primetime career. 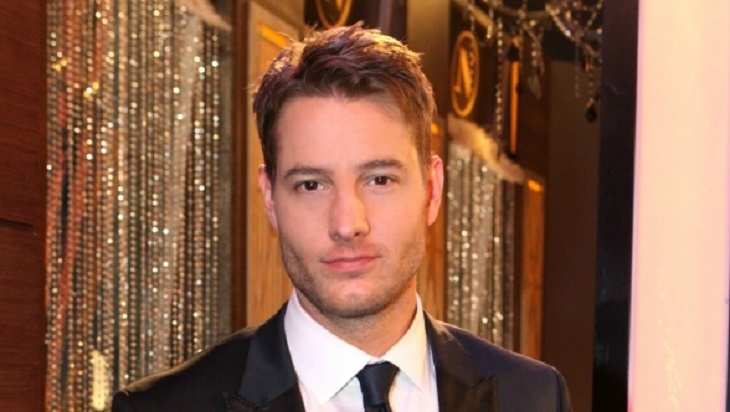 Now, that Justin Hartley has done just that – will he be hanging up his Adam Newman wardrobe and retiring from ‘Y&R,‘ once again leaving fans in the lurch and clamoring for a new Adam Newman? What do you think ‘Y&R’ fans? Will Justin Hartley quit the CBS soap? Or will he somehow manage to juggle being a man character on ‘The Young And The Restless’ AND a main character on the new NBC show? Share your thoughts in the comments below!